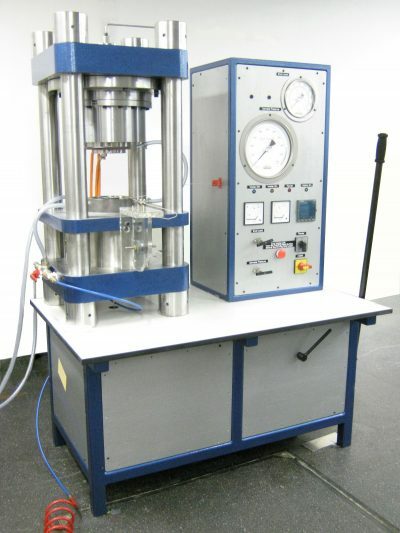 The Earth Sciences workshop produces and sells “Bristol-style” piston cylinder apparatuses. Designed by experimental petrologists and refined over the last 30 years, these piston cylinders are easy to use, reliable and economical. All piston cylinders are fully assembled, and tested in Oxford before being minimally disassembled for shipping. Additionally, a wide range of frame and panel colors are available. Piston cylinders have been sold to high-pressure laboratories in Canada, France, USA and Australia. 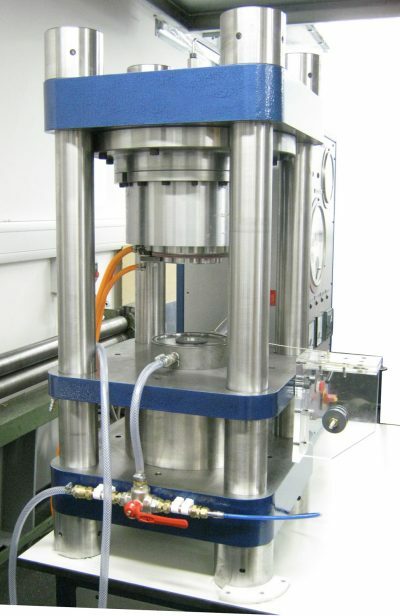 Press: Hydraulic press with two rams (one for endload and the second for sample pressurization); “bridge” piece; and thermocouple plate. Note that the bridge piece and thermocouple plate come with quick-disconnect couplings for cooling water. 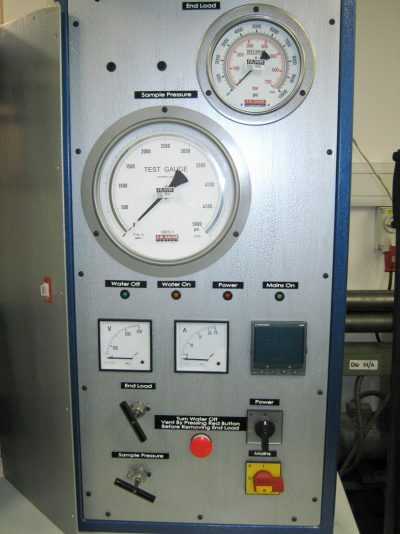 Electronic Cabinet: Analog pressure gauges, high-pressure hydraulic needle valves, Eurotherm temperature and power controllers, emergency shut off, all fully wired, plumbed, and labeled. Base: Box welded frame that houses transformer, and a manual hydraulic press. A Trespa worktop supports both the press and the electronic cabinet. 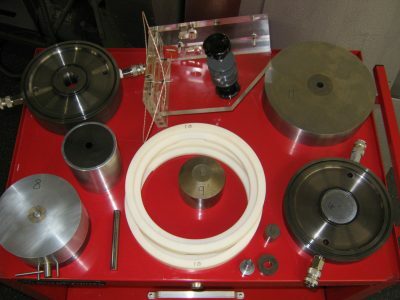 Thermocouple wire assembly: holds spools of thermocouple wire, and connects thermocouple to electronic cabinet, minimizing the amount of wire needed for each experiment. For a quote, or to discuss specifics, contact Jamie Long , Earth Sciences workshop manager.